Much easier to install compare with CCFL replacement, anyone can do it! No technical skill is required. No Soldering skills required! Disassemble the laptop screen (photo shown below). It is the exact same procedure as replacing the CCFL backlight lamp. 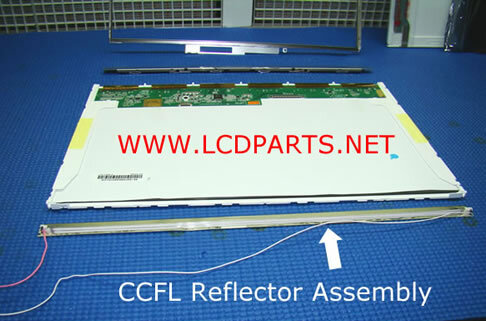 Set aside the CCFL Reflector assembly (no longer needed). Please test the LED strip before the installation. Connect the XB LED converter to your Laptop inverter wire harness, and make sure all the LED lights up. Please place an XB LED strip at the edge of Screen (As shown on photo below), be sure LED strip is align at the edge of plastic frame. 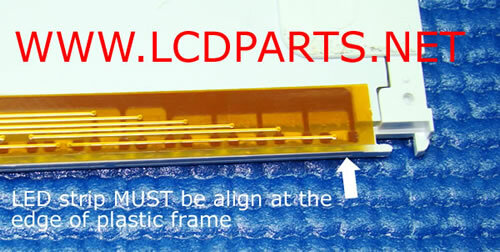 The goal is trying to mount LED strip as far as you can between light guiding glass and plastic frame. If LED strip is not mount correctly, you may see the light dots as shown on next photo. *In rare cases, you may still see some light dots on an older laptop screen. This is because some of the older screens have a very narrow space between the light guiding glass and the plastic frame bracket. 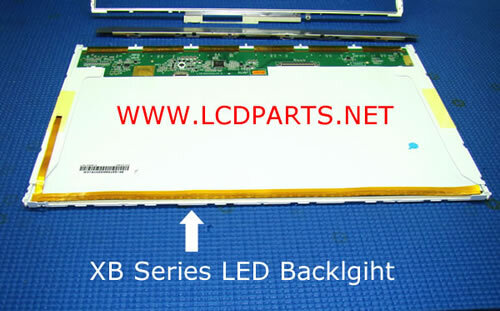 Tape XB LED Strip at the bottom edge of Laptop Screen, where it use to mount CCFL Backlight Assembly as photo shown below. 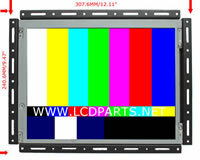 Re-assemble Laptop screen (Photo shown below). 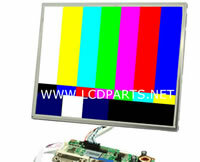 It is the exact same procedure as replacing CCFL backlight Lamp. Connect LED Converter to Laptop Inverter wire harness.